Following its recent expansion, IFC has announced two new appointments. Former operations manager, Kiran Shaw, has been promoted to operations director, following the significant expansion of his role, and will focus on supporting the continued growth of the business. “I’ve really enjoyed the challenges of the first two years at IFC and I am looking forward to exciting times ahead,” said Kiran. Chris Edwards has been appointed as technical sales engineer, following a successful six-month temporary contract with the company. 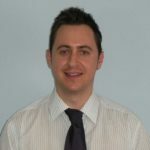 With five years experience in sales, Chris will be responsible for internal sales, product technical support and project management. His appointment reflects the company’s recent success within the tanker loading and safe access markets.